All our Shelving can be fixed or with adjustable height using "Tonk strips" as shown. They are routed into to the sides of the cabinetry so that they are flush with the surface. 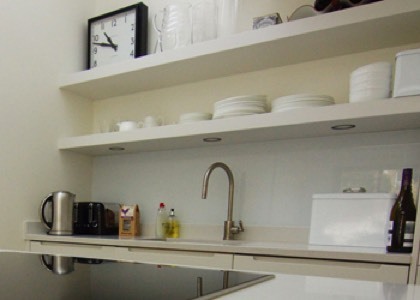 This makes a very precise and flexible height adjustment of the shelves.We also do contemporary open shelving which we can fit lighting like the white kitchen shown on the right. 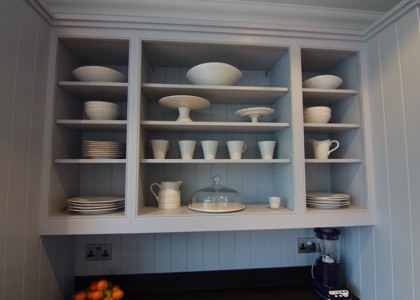 Or more traditional types of shelving which can make tung & groove backs etc.…..